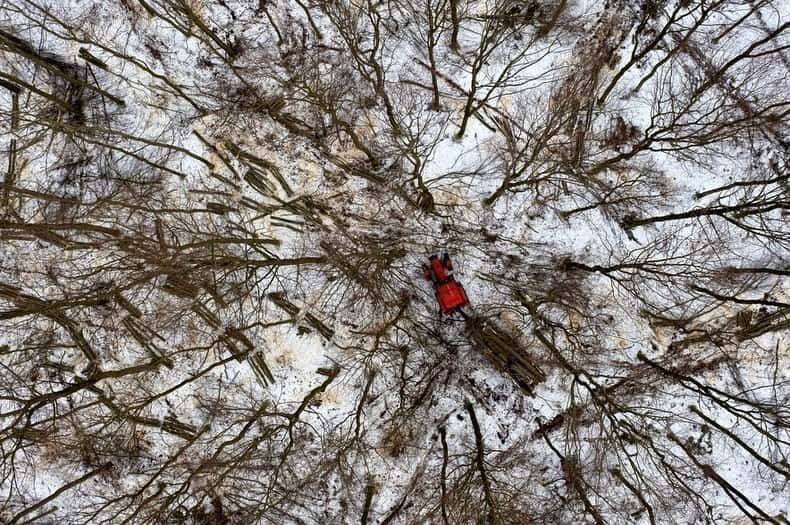 Kacper Kowalski is a renowned aerial photographer best known for his Stunning Aerial Photography. The photographs you see here are from a series 80 taken over Poland. 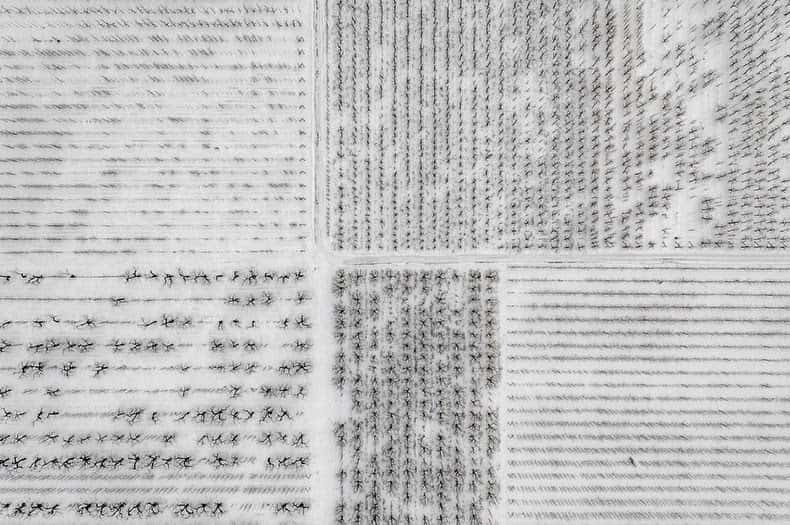 They document Polish landscape and show interaction between humans and nature. 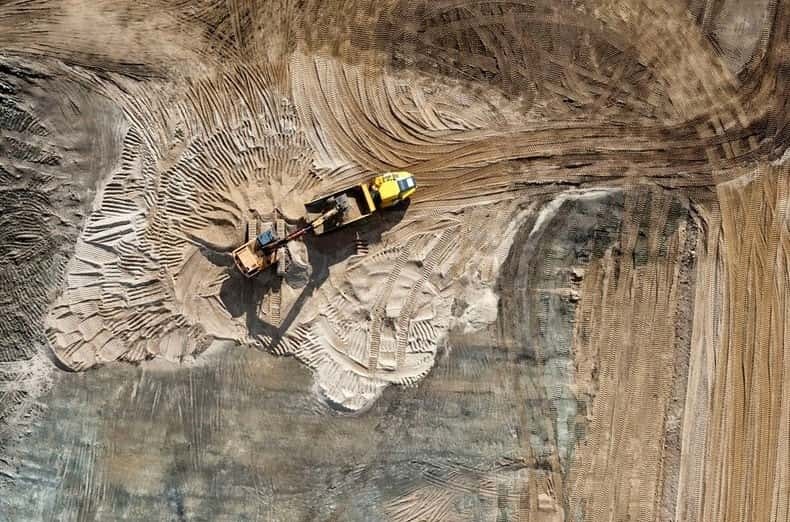 The photos include images of landfill, a power plant, mining waste land and many other scenes. ^ This is a photograph of a forest which shows the trees changing color during autumn. 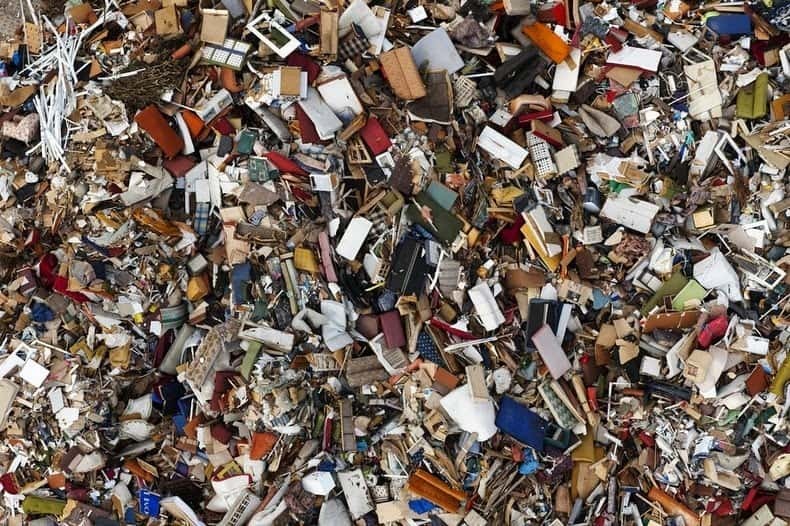 ^ A garbage dump located in Gdynia. 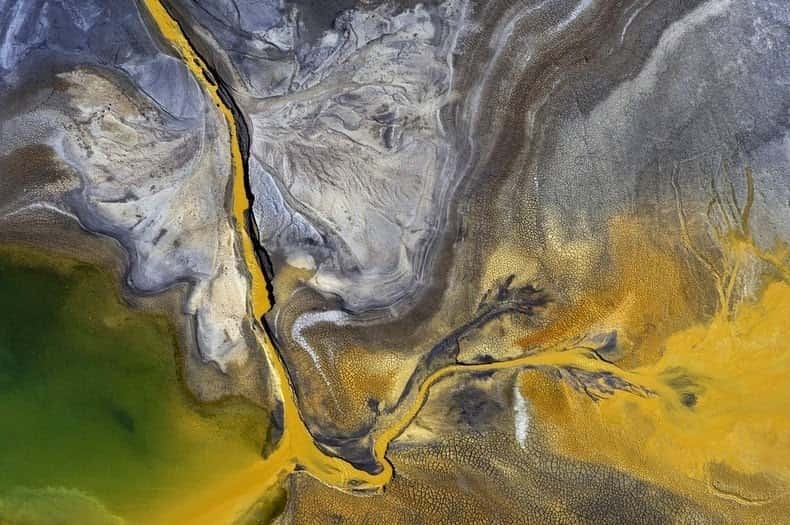 ^This one depicts waste as a result of a copper mining project. 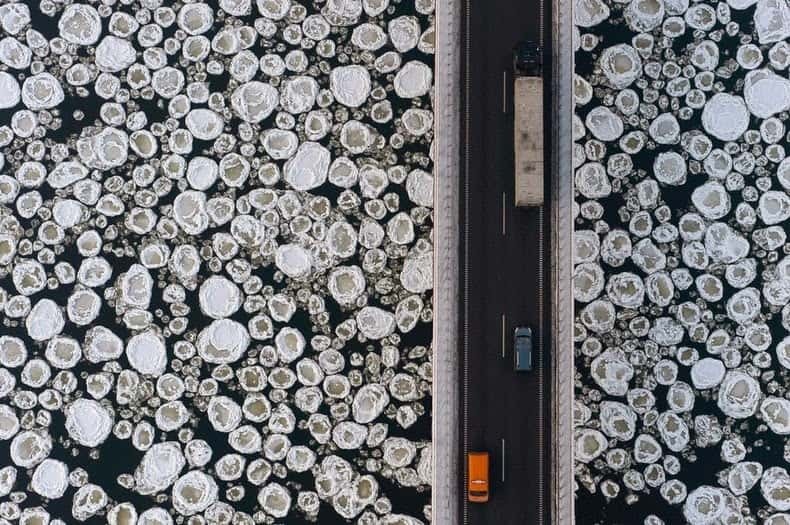 ^ A stunning image of vehicles travelling on a road bridge over ice covered water. 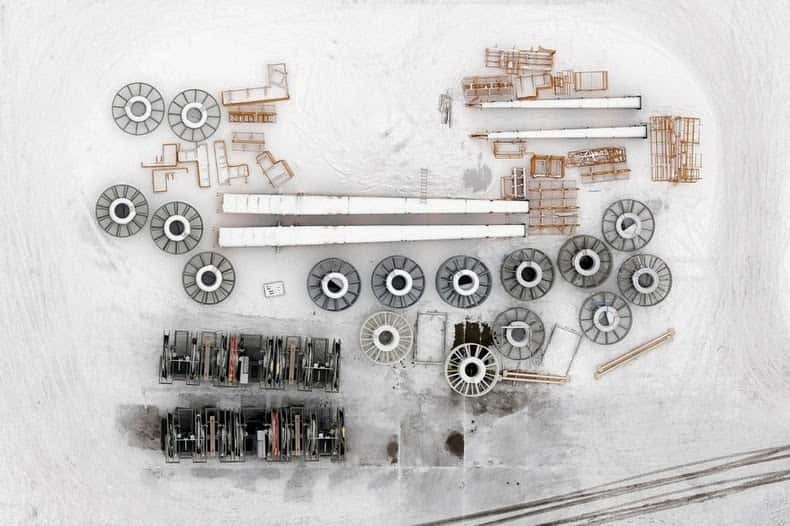 ^ An industrial site that is covered by snow. 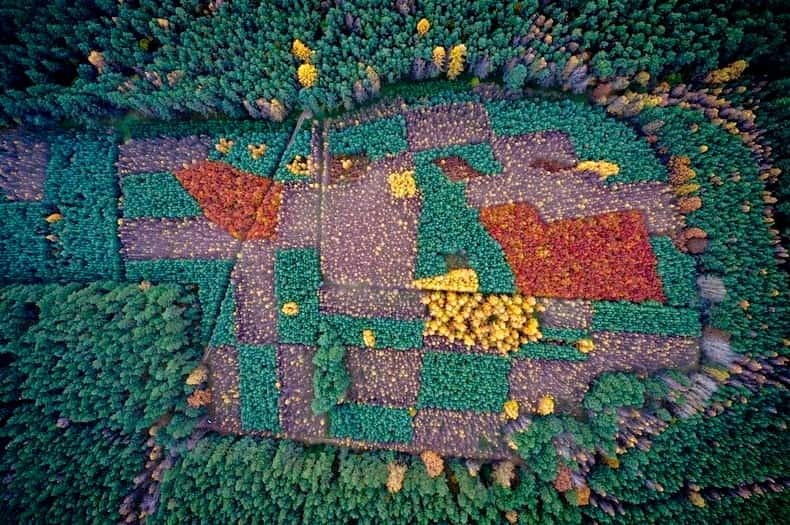 ^ Here is an aerial photograph of woodcutters working in a forest. ^ A power plant. ^ A snow covered orchard. These images are a striking reminder of the way humans interact with the environment. Kacper Kowalski studied architecture and then worked as an architect for several years. He now dedicates most of his time to taking amazing aerial photographs such as these.